Missed for its novelty, or did people actually like this beer? If it tastes anything like PBR, then there you go; we have our answer. With all the corporate mergers and major brewers brewing each others beer, I'm surprised they don't all taste the same. Regardless. This is one beer that I really don't like. I can drink Hamms. I can drink Mickeys. 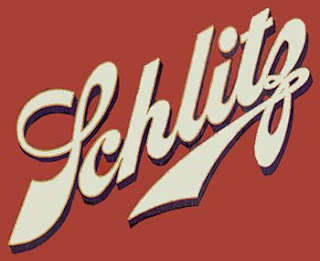 But the Schlitz... I don't know. Something about it turns my stomach. I like Schlitz if it's very cold. A bar in Portland sold ice cold Schlitz tall boys for $1.50 on nights they had live music. I miss that joint. I've never had this, but I'm willing to try. Although that might be hard--I read somewhere that the thing's being sold in limited quantities and that there's a waiting list for it at some places. I'm going to guess that even if it is good, it's not worth waiting list drama. I'll stick to my Guinness and Fat Tire.